Are you worried that your presentation is lacking? 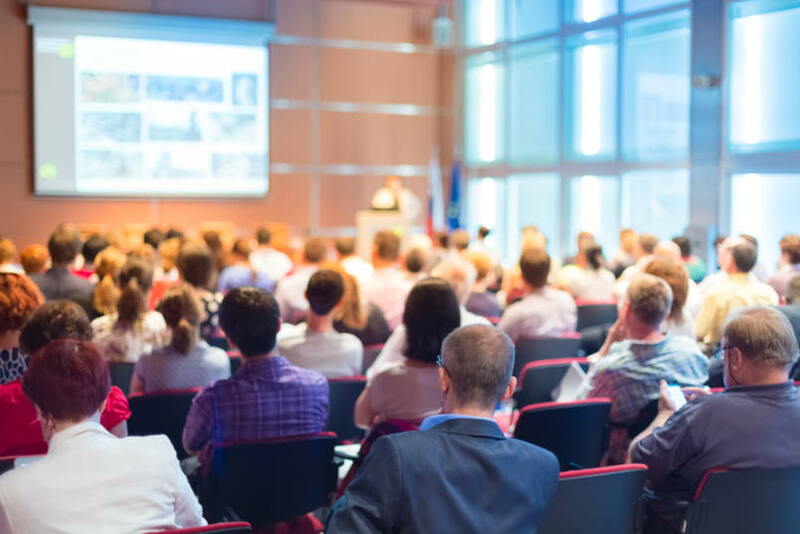 Whether you are giving a speech at a conference or running a workshop, it’s important that your presentation is as interesting as possible in order to keep the attention of your audience and impart your message. Here are seven great ways that you can spice up your presentation. Ask your audience questions – an audience’s attention span can only last so long, so it is important to break up a talk so that it’s not just you speaking the whole time. One of the best ways to do this is to ask your audience questions. You can use an audience response system to poll, quiz or gauge opinions. Use your personality – there are sadly so many occasions that a confident and charismatic person believes that they need to give a presentation in the same style that they have seen before. This can lead to a very stilted and uninteresting experience for your audience. So, don’t be afraid to be yourself and utilise your personality. There’s no ‘right way’ to present, to use your natural mannerisms and speech patterns rather than trying to be too formal or rehearsed. Be passionate – there is nothing worse than a presenter who looks and sounds like they have no interest in being there. Of course, some topics lend themselves more easily to fun presentations, but no matter what you are talking about, you can have a real interest in the things that you are saying. Enthusiasm is infectious. Practice, practice, practice! – reading directly from a script for the whole of your talk is a sure-fire way to bore your audience and completely turn them off from what you are saying. It is important that you know what you are going to say, and don’t rely entirely on a document to read from the whole way. Anyone can read a document, but a greater presenter learns what they are talking about, and isn’t afraid to talk openly. It’s OK to be funny – you don’t need to be scared of humour; if you feel comfortable to tell jokes on stage it can be a great way to relax the crowd and boost interest levels. Audiences respond well to wit and light comedy, as it can even help to make your presentation more memorable. Of course, that doesn’t mean that you should randomly intersect your talk with gags from a joke book – let the humour flow naturally. Don’t rely on a slideshow with too much text – many presenters make the mistake of creating a slideshow that contains the whole script. The fact is that no-one listening to your presentation will be able to read the whole of the text and listen to you at the same time. It’s much better to have slides that contain only the most compelling points, as well as images. Bring props – it might seem strange, but there’s a reason that show-and-tell is so popular. Audiences respond well to physical objects – they create a level of intrigue and gives them something else to focus on.